What happens when "happily ever after" has come and gone? The queen has been in a moribund state of hopeless depression for over a year with no end in sight. It is only when, in a fit of bitter despair, she seeks solitude in the vastness of her own sprawling castle and climbs a long disused and forgotten tower stair that she comes face to face with herself in the very same magic mirror used by her stepmother of old. It promises her respite in its shimmering depths, but can Snow White trust a device that was so precious to a woman who sought to cause her such irreparable harm? 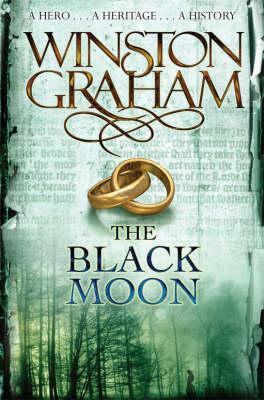 Can she confront the demons of her own difficult past to discover a better future for herself and her family? And finally, can she release her soul-crushing grief and suffocating loneliness to once again discover what "happily ever after" really means? Only time will tell as she wrestles with her past and is forced to confront The Reflections of Queen Snow White. 1. Your book, The Reflections of Queen Snow White, is a sort of continuation of the familiar fairy tale. What drew you to Snow White? First, let me note that I understand upon initial examination, she might seem a little bit vanilla. After all, she is probably the first faerie tale princess that comes to our minds when we think of the faerie tale genre. She’s been nearly exploited and merchandised to death by the Disney Company. There have already been almost innumerable retellings and riffs on her story in modern media – TV, movies, other novels, short stories, and even an old Rammstein music video. Who doesn’t know Snow White? However, I felt like this intimate familiarity we all have with her actually works perfectly in helping the reader connect with Snow White’s older self in The Reflections of Queen Snow White. To me, it felt rather like catching up with an old friend whom I hadn’t seen in years and years. Just like those friends from grade school or university, I still care about her. Another reason I gravitated toward her was that I felt like this scenario (a much younger bereaved Snow White mourning the death of a much older husband) was a very likely and believable turn of events for Snow White’s latter life. All of us must deal with death and grief to varying degrees throughout our lives. Half of us at least will have to cope with the passing of a partner. Who better to demonstrate the idea that loss and the redefining of a life that necessarily must occur as a result happens to everyone – Even faerie tale princesses? In addition to that, I also felt like Snow White had a particularly and mostly untapped potential (at least by Disney) for some really interesting darkness. After all, she had a pretty horrible upbringing – the tragic death of both parents, left in the care of an abusive woman who despised her, disassociation from her peers, isolation, loneliness, depression… I think these are all elements that really work to elevate the level of drama and move the story forward in a way that is especially gripping and impactful. 2. Tell us a little bit about Snow's relationship with her daughter Princess Raven. I’ll note up front that The Reflections of Queen Snow White is very much a character study of Snow White herself. It is really only into her heart and memories that we delve and the narrative is told decidedly from her perspective. I think it does come through however that Raven desperately wants a closer relationship with her mother, especially right before her wedding, but Snow White is too caught up in her own misery and depression to be available to her in any meaningful way. In fact, she consciously avoids her because Raven reminds her too much of her dead husband. That’s another real tragedy of the situation – Snow White has already lost her husband, Charming, but because of her inconsolable grief and self-absorption she’s losing her daughter as well. 3. How has Snow's personality changed since she's lost her husband? I like that you ask about her personality, because it really is a rather complex question and frankly something I’ve wanted to talk about. In my vision of Snow White the human being, she is an extremely damaged person. She suffered through years of horrible mistreatment at the hands of her step mother. She has serious abandonment issues and a choking lack of positive relationships and any sort of individual empowerment. As a consequence she struggles to see her own inner strength and really always has. Snow White carries a huge amount of emotional baggage. She is a classic portrayal of child abuse. Charming saved her from that life and she idealized him for it, but now, just like her beloved mother and father before him, he’s left her all alone. She loves him. She misses him, but she also blames him and it makes her feel horribly guilty. The reviews of Reflections have been overwhelmingly positive, but the one complaint that has come up a couple of times and that really sort of gets to me is the claim that I didn’t “reimagine” Snow White enough, that they wished she was a “stronger” character. My response to that though is: who says she’s not strong? I don’t think they understand the strength necessary to overcome abuse or how that strength is made manifest. I felt like it was important to portray Snow White as a real human being with real human frailties and flaws. 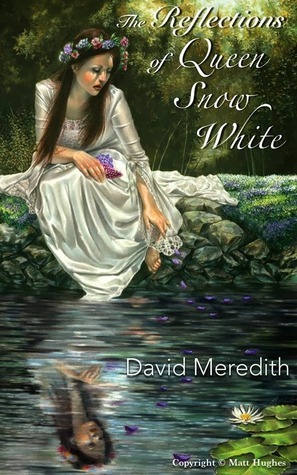 The Reflections of Queen Snow White essentially questions whether or not a person who has had so much go wrong in her life can turn it all around and still find her own ‘happily ever after’. Can Snow White overcome her grief? Can she rebuild her relationship with Raven? Can she find happiness and purpose in her life again? Well, she’s sure going to try, and the willingness to make the attempt - to confront her demons and weaknesses - that alone takes enormous strength. 4. Your book has been described as "gritty, dirty, and fairly realistic." Do you agree with this assessment? Why or why not? I think gritty and real are fair. As for ‘dirty’, I’m not sure that I agree. It is certainly uncensored, maybe even raw, but to tell the story otherwise would have been a disservice to the central plot. To gloss over the horrible abuse Snow White endured, to try and somehow candy coat everything she has had to overcome to make a life with her prince, I think would be incredibly detrimental to the impact and believability of the story. Now the other part of The Reflections of Queen Snow White that some might construe as ‘dirty’ is the sexual content – particularly Snow White and Charming’s honeymoon scene. To be perfectly honest I struggled with how graphic to make it for quite a while myself. I have never actually included such explicit content in my writing before, but when I thought about it I was struck by two realizations that made me decide it was necessary. First, I felt like it was important to demonstrate what a huge impact Charming has on Snow White’s life, why she feels so connected to him, and thus why his passing has afflicted her with such crippling despair. He’s her first everything – first love, first kiss, first intimacy, the first person since her father died to treat her like a human being. Second, this is Snow White’s reflection. It is her innermost doubts and insecurities, her most intimate memories and recollections. It is she alone facing her darkest trials and recalling her most edifying triumphs all inside her own head via the Mirror. Who censors their own head? I decided that confronting the joy in her life was just as important as confronting the tragedy and if it was truly her own musings and introspections that she would most definitely recall everything in vivid, striking detail. On the happiest day of the year, Taro’s world ends. His people and his family are slaughtered. His lands are brutally laid to waste by merciless, imperial forces. Taro is certain that neither he nor the ghosts of his lost loved ones can rest until he has visited the same devastation tenfold upon the heads of the vile collaborators. Consumed with grief for the fallen and guilt at his own survival, he gathers his scattered people and solemnly vows bloody revenge on the allies of the Emperor in the neighboring barony. At the same time, young Naomi, cherished daughter of the doting Lord of Numanodai, is blissfully unaware of the chaotic world spinning out of control all around her. She fervently studies the arts of dance, music, and poetry as she dreams of being accepted into the distant imperial court. However, when disaster visits her very doorstep and she loses everything that she holds dear, Naomi must learn what it truly means to be a woman and a ruler. She must come to grips with her own gnawing grief and paralyzing doubt if she is to have any chance of saving her beaten and bedraggled people from Taro’s unreasoning fury. In the process, both she and her pursuer discover a magical world of vengeful akuma demons, fierce kitsune fox-people, droll tanuki badger-folk, and the mysterious, arcane power of the ikioi. Taro and Naomi must decide whether to use this power for healing or destruction, revenge or redemption. They must choose whether to react to their pain and loss with wrath or with love. In the end, both must come to understand that the only thing that really makes them different is the choices they make and what they are willing to sacrifice in attaining that which they desire. I'm hoping to release the first volume, Shirobara Falls, sometime later this year or maybe early next year. David Meredith is a writer and educator originally from Knoxville, Tennessee. On and off, he spent nearly a decade, from 1999-2010 teaching English in Northern Japan, but currently lives with his wife and three children in the Nashville Area where he continues to write and teach English. Doctor Who Rewatch: Stop messing with DNA!